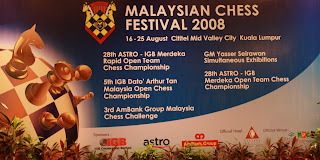 The first event of the Malaysian Chess Festival 2008 will open tomorrow with 50 teams vying for the Championship title in the 28th Astro Merdeka Rapid Team Chess Championship 2008. 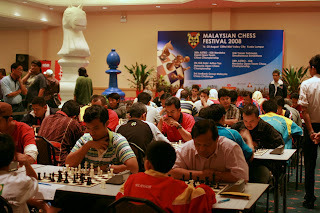 Besides host Malaysia some 46 players from 10 countries namely The Philippines (18), Indonesia (11), Bangladesh (5), Singapore (4), New Zealand (3), Uzbekistan (2) and one each from Australia, Myanmar and The United States are participating either with their own team members or jointly with their Malaysian counterparts. 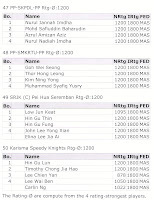 Among the participants are titled players comprising 5 GMs, 1 WGM, 9 IMs, 1 WIM and 9 FMs and increase from last year's 14 titled players of 1 GM, 10 IMs, 1 WIM and 2 FMs. 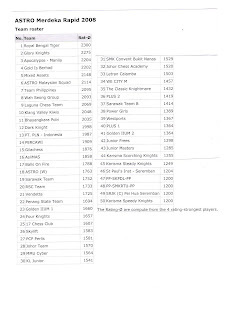 Nonetheless the 2250 average rating cap requirement for each team should more or less provide a level playing field for all.